Make sure that you are prepared for Valentine’s Day for your lovely lady. First of all, you don’t need to spend a lot of money to make a great Valentine’s Day with your partner. Rather than going out to dinner, you can stay in and make a romantic dinner. It’s a great way to enjoy each other’s company. Work together on dinner, and make it a point to be fully engaged. In many ways, one of the best gifts is to pay attention, and to do something thoughtful. 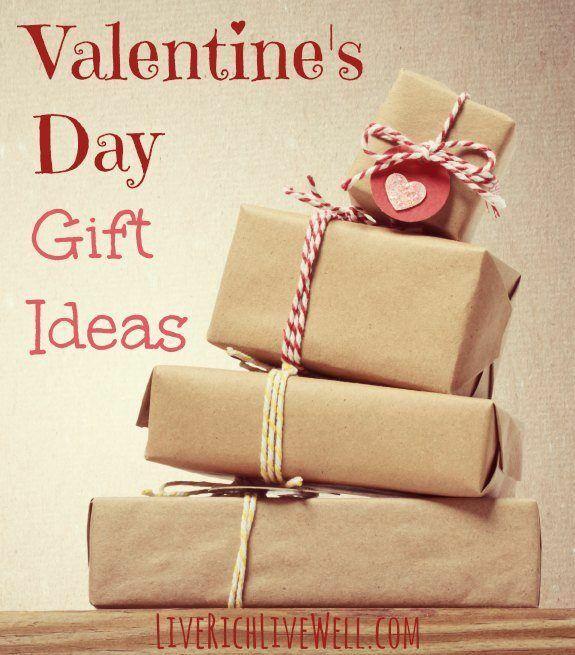 Other simple ideas for Valentine’s Day gift ideas for her include flowers, chocolates, and jewelry. It seems cliche to offer these things to the woman in your life, but they are standbys that you can usually find easily, and that come in a range of prices. Choose jewelry with an infinity design if you are looking to move away from the heart motif and do something a little different — but that still conveys your long-standing love. If you have time, consider ordering unique chocolates. Getting something from a chocolatier or a local candy maker can be more meaningful than a generic box of chocolates picked up at the grocery store (although this can also be a good option if you are on a budget). A really interesting and unique idea for the serious chocolate lover in your life might be chocolate liqueurs, which can bring a little twist to your gift-giving. You can also give simple and fun gifts, like stuffed animals and even action figures. There are some cute and unique twists on Valentine teddy bears, like a hedgehog or even a dragon. If you are with a “geek girl,” think about her favorite characters. There are a number of comic book heroes and other items that make great gifts for display. They don’t need to be expensive, and they can show that you really know your Valentine. The important thing is to think about what would make your Valentine smile. The best Valentine’s Day gift ideas surround the things your significant other likes best. Whether you are just renting a romantic movie and planning an evening in, or whether you give something extravagant, remember that it really is the thought that counts. When you are buying Valentine’s Day gifts for your man, you need to think about what he likes, and focus on how you can show you care. In some cases, it’s about finding ways to show that you recognize your guy’s taste and sophistication. Many gifts for men revolve around status. A watch, for example, is more of a status symbol than a timepiece anymore. Another longstanding gift for men on Valentine’s Day is a set of cufflinks. You should also take into account your significant other’s interestes. Consider getting action figures that reflect your guy’s particular tastes. You can get video games and comic books as well. There are plenty of interesting novelty items available for the gamer or geek in your life, and they don’t have to be expensive — just thoughtful. Another fun way to show you care on Valentine’s Day is to “play hooky” with the man in your life. Surprise him at work and take him to lunch. Or you can encourage him to take the afternoon off and go to a movie with you. These are fun ways to get out of your regular rut, and enjoy time together. Sometimes, the greatest gift is to do something unexpected. Don’t forget that there are plenty of gifts that you can enjoy together. Rather than trying to get individual gifts, plan an excursion together. A couple’s massage, a weekend getaway, or just renting a movie you can both enjoy is a good idea. Or, if you can’t agree on a movie, have each of you pick a movie, and you watch both. That can be a lot of fun, and it prevents you from disagreeing. Make dinner together, and then each of you pick a movie or TV show to watch. No matter what you decide to do for Valentine’s Day, the important thing is that you think of something that your significant other will enjoy, and that shows the thought you’ve put it into the gift or the outing. What are your favorite Valentine’s Day Gift Ideas?